The next version of Windows operating system i.e. 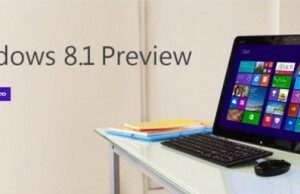 Windows 8 is getting ready for the first beta release. Microsoft is very much excited about this version and few days ago, they released the first preview of Windows 8 build (demo video attached below). On the lock screen, an icon of a webcam was visible where a number was popping beside that icon. People started looking for the details about that icon and found that it may be is a video chat in-built application’s icon. And the number shown beside the icon is nothing but the number of missed calls received through the video chat application. 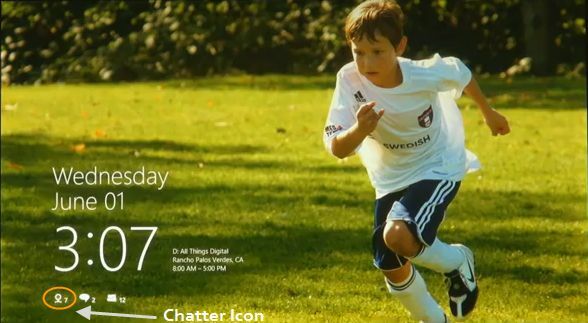 That means, Windows 8 is coming with a built-in video chat application. Windows 8 is also coming with an in-built PDF reader. After digging more into the released builds, developers found the code which gives more clue about this video chat application. The name of the application is written as “Chatter” and it is capable of making calls from different platforms like Skype, Google Talk and Windows Live etc. Skype integration in Windows 8 is no surprise after the acquisition of Skype by Microsoft a few weeks ago. Now if a video chat application named “Chatter” is coming with Windows 8, what are the expectations of normal users who wants video chat. Of course the expectation will be more after getting FaceTime on iOS by Apple. Windows 8 team is well aware of the features available in FaceTime and people are loving that application. 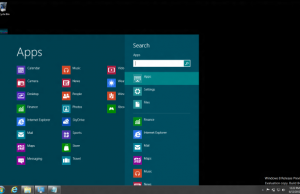 So here is what Windows 8 Chatter should have to compete with FaceTime and to provide better video chat experience. That means, the user will have one place to audio – video chat, instant messaging and for conference calls. Just need to open single native application for all of these activities.